Bullying is a significant challenge which requires caring adults equipped to effectively intervene. This workshop examines brain-based strategies designed to transform the behaviors of those who bully, support those who are targeted, and engage bystanders in the environment. This course is offered in collaboration with the Upside Down Organization and offered in a time-efficient three hour format. LSCI is an empirically supported approach to behavior management and problem solving which uses crisis as an opportunity to teach and create positive relationships. This introductory course presents a guide for supporting students who are stuck in ineffective patterns of behavior and need help in developing personal insight and self-awareness. The dynamics of stress and conflict are explored as well as how to apply the intervention with students who displace emotions. This course is also available in a video-based online format. Casa Pacifica Centers for Children and Families is a national training site for the Life Space Crisis Intervention Institute. This course reviews the concepts and skills of the Life Space Crisis Intervention approach and introduces strategies to address five additional common behavior patterns: misperceptions, lagging social skills, rationalization, bullying, and impulsivity. The effects of trauma on each specific behavior pattern are highlighted along with discussions from the textbook and practice scenarios. Casa Pacifica Centers for Children and Families is a national training site for the Life Space Crisis Intervention Institute. Children and youth with strong executive function skills are more resilient and successful in life. This workshop explores the concepts of executive functioning and offers brain-based strategies to nurture skills such as time management, organization, flexibility, and impulse control. This course is offered in collaboration with the Upside Down Organization and offered in a time-efficient three hour format. ADHD is of one of the most commonly diagnosed behavioral disorders, but one that can be accommodated with highly successful outcomes. This workshop explores the biology behind students with ADHD and brain-based strategies to build on strengths and minimize related weaknesses. This course is offered in collaboration with the Upside Down Organization and offered in a time-efficient three hour format. A safe school environment is essential for children and youth to be able to experience academic success. This workshop explores how to create a safe environment by shaping positive adult-child interactions and provides a foundation for understanding behavioral escalation, violence prevention, and traumatic stress. 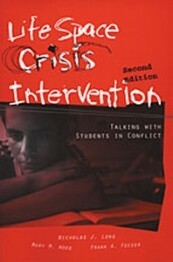 Participants are introduced to the interpersonal foundation of proactive crisis prevention including making connections and meeting basic needs. Participants learn a framework for understanding and responding to the stages of escalation with a focus on proactive de-escalation strategies. Awareness of hate-motivated violence and the effects of trauma are also discussed. 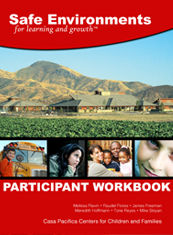 Supplemental modules on multi-sensory de-escalation and emergency physical skills are also available. Physical Intervention Skills: In this module, participants learn and practice physical skills to maintain safety during emergencies involving an imminent threat to physical safety when other non-coercive methods are clearly ineffective. Careful attention is given to assessment skills, medical risks, and minimizing the risk of injury. Multi-Sensory De-Escalation: This module presents a multi-sensory alternative to the use of seclusion or time out rooms with a focus on helping youth increase self-regulation of emotions and behavior. Participants are introduced to theories from applied brain research, sensory integration, and child development. A basic overview of brain anatomy is presented with a focus on the process for effective multi-sensory de-escalation. Procedures and documentation related to the use of a multi-sensory de-escalation room are also discussed. Additional consultation, group exercises, and guided feedback can be provided for agencies developing and implementing physical space for a multi-sensory de-escalation room.